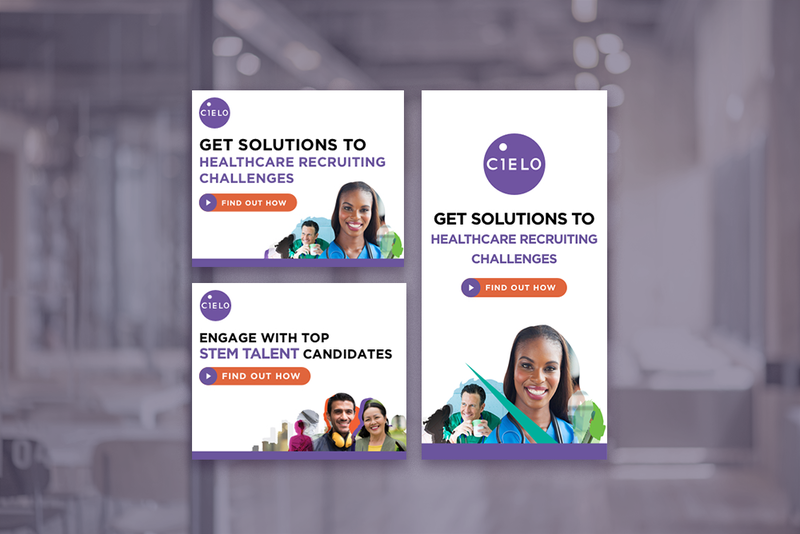 Cielo, the world's leading strategic Recruitment Process Outsourcing (RPO) partner, hired Ascedia to lead their Pay-Per-Click advertising strategy. As a result, we not only delivered results, but we became a trusted extension of their team. We began with extensive keyword research and restructuring Google Ads and Bing accounts for maximum effectiveness. We then led the creative design for their display campaigns. In addition, we leveraged programmatic media buying using real-time bidding to get placement on select sites. Going beyond Cielo’s original ask, we also recommended a combination of remarketing, behavioral and contextual marketing, and also used content syndication to share thought leadership and generate leads. To reduce the strain on Cielo’s marketing executives, we became the primary contact for Cielo’s third-party marketing provider. After refining the programming and specifying target accounts, we consolidated all digital marketing data into a single monthly report that could be shared with leadership across the global organization.